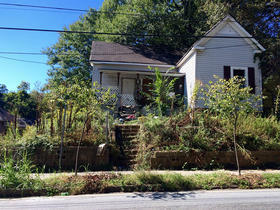 How Should Atlanta Tackle Blight? There are an estimated 17,000 abandoned properties in Atlanta. The City of Atlanta is working to tackle abandoned homes and properties throughout the city, something the city has had a hard time handling with because of its current laws, officials said. Last summer, the city created a Code Enforcement Commission to figure out best practices from other cities on handling blight. There are an estimated 17,000 abandoned properties, said City Council member Mary Norwood, who also co-chairs the commission. “Existing residents are so disheartened because over the years, it seems that not much is being done and it was because we weren’t using the right tools,” Norwood said. Tools like allowing the city to sue a property, instead of a person. She said the city is currently working on a pilot process which allows the city now to do so. The process, called judicial in rem, works in situations where people have died or in cases of mortgage fraud where owners are hard to track. The Center for Community Progress, a nonprofit based in Flint, Mich., has been working with the commission, and presented its recommendations to the commission Thursday. Frank Alexander, Emory University Law Professor, told the commission that Atlanta’s current codes are behind the times and ineffective. “The City of Atlanta, historically, relative to other cities of comparable size, geographically and in population, has underfunded code enforcement activities,” he said. The commission is expected to make recommendations to the mayor and City Council before June.